Search by Name or Parcel # then click "View Bill"
The Assessment Office is responsible for real estate assessments and maintaining real estate data files. Real estate assessment data is available online using the County GIS website or in the Real Estate office by using the public access terminal. Any questions regarding your tax bill should be directed to the Treasurer’s Office. Please have your account number/parcel code from a previous tax bill or assessment notice, to identify the property in question. All requests for copies of assessment records or any related assessment information must be sent to realestate@co.henry.va.us. Your request will be answered the same day in a timely manner in the order which they are received. MOST RECENT REASSESSMENT EFFECTIVE JAN. 1 2017 Properties in Henry County are reassessed every 4 years. After the General Reassessment is concluded, there are 3 steps to appeal your reassessment. The burden of proof is on the taxpayer to prove that the assessment is incorrect or unequal with similar properties, as provided by to the Code of Virginia 58.1-3379. Appeal to the Assessors by calling the Henry County Assessor’s Office (276)634-4610 to make an appointment within the dates stated on your reassessment notice. 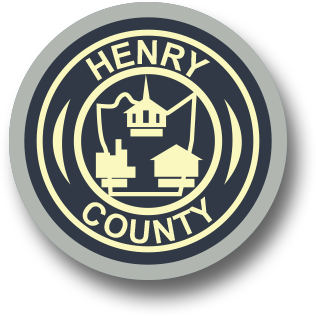 Appeal to the Henry County Board of Equalization (BOE). Any remaining complaints may be appealed to the BOE. The 3 members of the BOE are freeholders in Henry County and appointed by the Henry County Circuit Court Judge. Applications to appeal to the BOE will be made available and are due by February 1st of the effective year. Appeal directly to the Circuit Court. If you disagree with the decision made by the BOE, the final step of appeal is directly to the Henry County Circuit Court for a judge to hear your appeal and render a final decision. In order to determine the fair market value of properties in the County of Henry, a full time staff of appraisers is employed in the Real Estate Assessor's Office to study and evaluate all recent sales of real estate in the county, and establish the new assessment values of land and improvements. The appraisers are trained and educated in current appraisal practices and techniques in use, through various courses provided by the Virginia Department of Taxation, the Virginia Association of Assessing Officers, and the International Association of Assessing Officers.